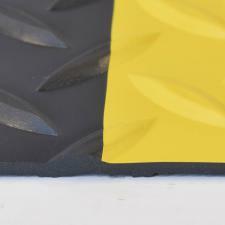 The low profile diamond-embossed top surface offers exceptional traction from any direction. 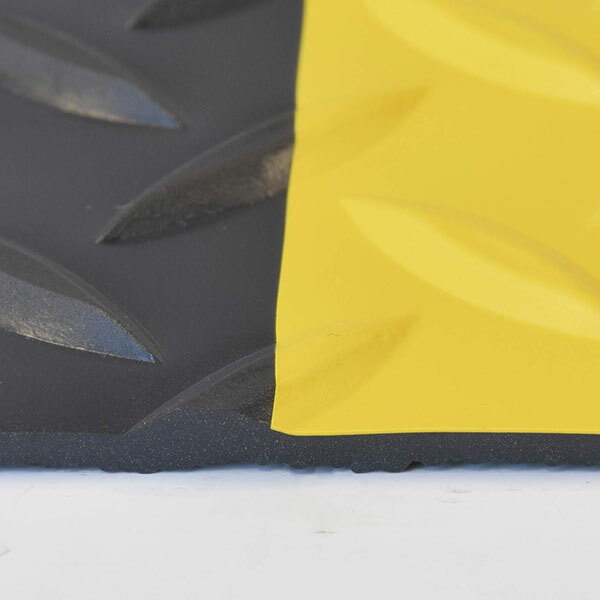 Made of durable high quality vinyl, this runner is easy to sweep clean and has a low profile allowing for easy on/off cart and equipment traffic. 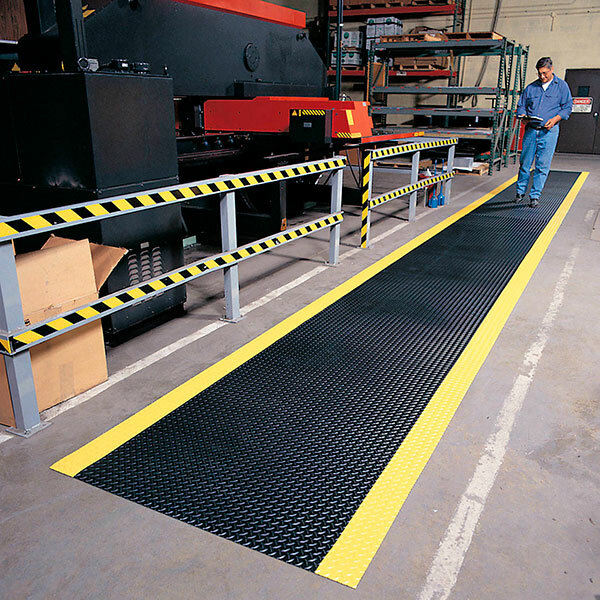 Diamond Plate Runner is recommended for applications where safety and slip protection is needed with minimal anti-fatigue value such as aisles, warehouses, vending areas, and industrial passageways. Made with 100% recycled materials. The Diamond Plate Safety Runner is a diamond patterned vinyl runner mat designed to give you that industrial look while providing safety and protecting your floors from oils and chemicals. 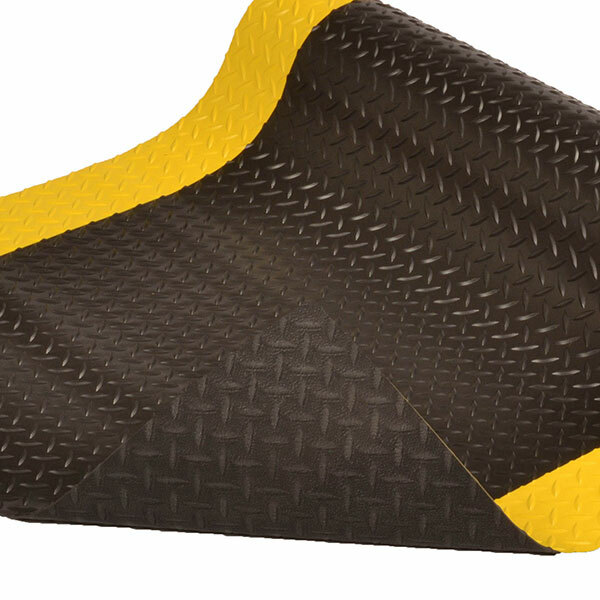 Easy clean-up while providing sure footing and floor protection. 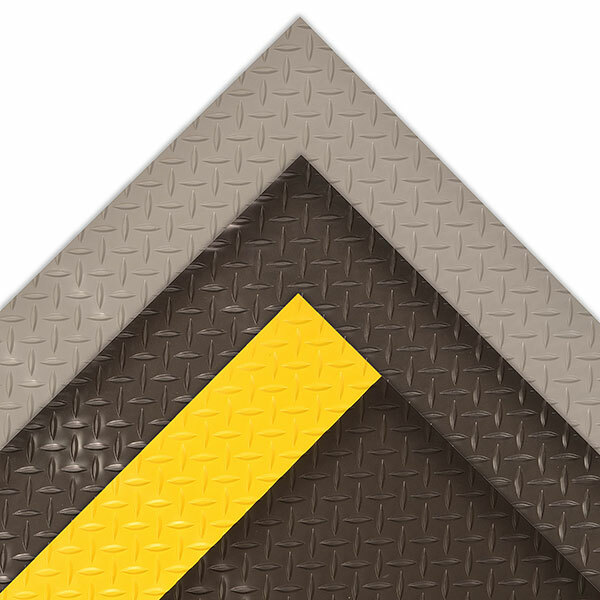 A durable vinyl construction formed into a rugged diamond top pattern for non-directional anti-slip protection.